Apple iPhone 8 and iPhone 8 Plus smartphones went on sale yesterday in over 25 countries and territories globally. 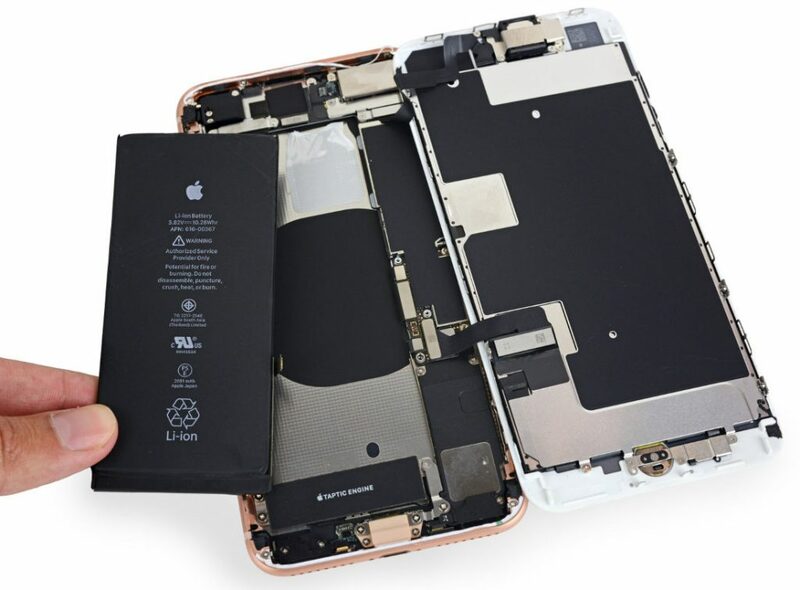 As usual, folks at iFixit have already managed to grab both the iPhone 8 and iPhone 8 Plus from Australia and have given at a teardown treatment as usual. TechInsights (previously Chipworks) have got hold of the Intel version of the iPhone 8 Plus. Like the iPhone 7 and 7 Plus, this year’s teardown also confirms the presence of Intel’s LTE modem in some units. iFixit’s iPhone 8 (A1863) and iPhone 8 Plus (A1864) units have Qualcomm modem and supports CDMA networks. It has Qualcomm MDM9655 Snapdragon X16 LTE Cat. 16 Modem that that has support for up to 1 Gbps and upload speed of up to 150 Mbps, compared to Qualcomm MDM9645M LTE Cat. 12 Modem in the iPhone 7 and 7 Plus. It also has Qualcomm WTR5975 Gigabit LTE RF transceiver and PMD9655 PMIC. The iPhone 8 Plus from TechInsights has the model number A1897 and supports GSM networks. This has PMB9948 Baseband Processor (Modem) and X2748 B11. It is Intel’s XMM7480 modem, which is the company’s fourth-generation LTE modem that offers download speed of up to 600 Mbps download and 150 Mbps upload speed. The iPhone 8 has SK Hynix 2GB LPDDR4 RAM (H9HKNNNBRMMUUR) memory and Toshiba 64 GB NAND Flash (TSBL227VC3759) storage. It has 1821mAh battery, compared to 1960mAh battery in the iPhone 7, as revealed earlier. The iPhone 8 Plus has Samsung 3GB LPDDR4x RAM with SanDisk 64GB NAND Flash (SDMPEGF12) or Micron 3GB LPDDR4 RAM (MT53D384M64D4NY) with SK Hynix 256GB NAND Flash (H23Q2T8QK6MES-BC) depending on the model. It has a 2691mAh battery compared to 2900mAh battery on the iPhone 7 Plus. Both the phones have a about 7% smaller batteries compared to the predecessors. Since the phones have IP67 ratings for water resistance, these have strong adhesive seals and little rubber gaskets. iFixit has given both the phone 6/10 rating saying that the back glass is breakable and next to impossible to replace when cracked.